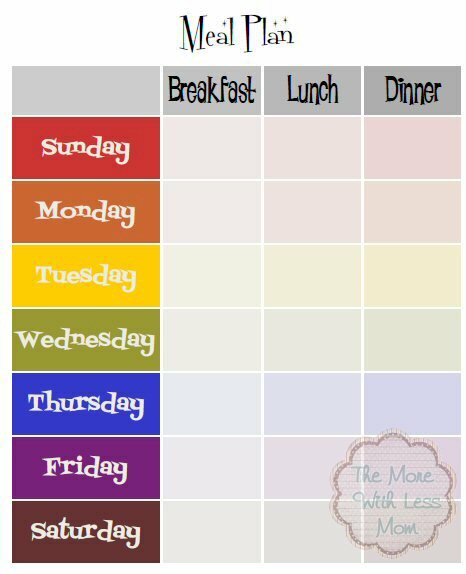 Use this lovely weekly meal plan printable to organize and display your weekly menu. 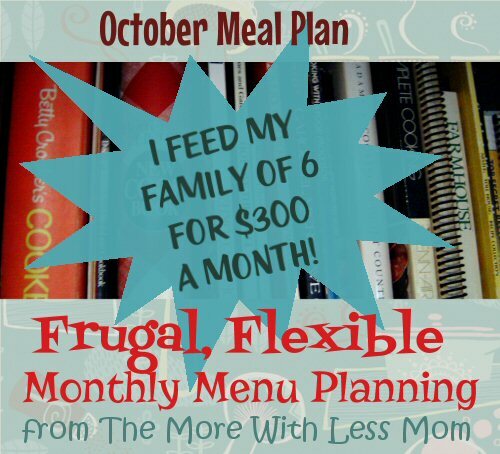 The quickest way to save on groceries is to start planning your meals, and sticking to that list. 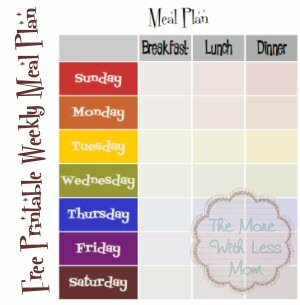 Creating a meal plan for a week is fairly easy. Going to the grocery store armed with a list is a good way to save money and cut down on impulse purchases. 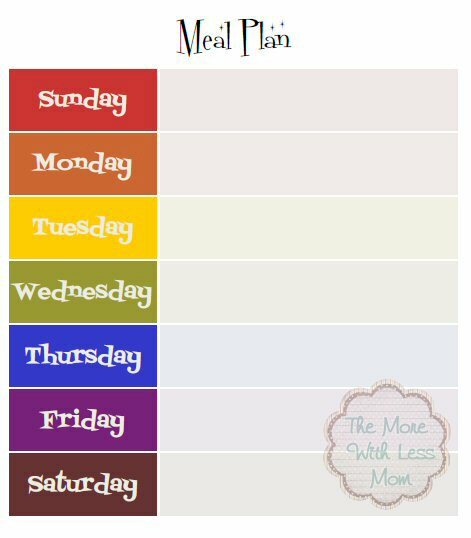 We plan our meals for a whole month and shop accordingly. This is a fun, free printable. I love the rainbow colors and the retro diner look. You can print this and write on it, you can open it in Adobe Reader and Add Text on it, you can stick it in a sheet protector and use dry erase markers on it, or you can stick it in an 8×10 frame and use dry erase. *There is no watermark on the actual PDF, just the thumbnails. What is your favorite “retro” decade?